FFA - How did ISIS radicalize two Muslim men from the same mosque in St. Lucie County without law enforcement’s knowledge? Obama’s policies that’s how. Omar Mateen The email for this article was deactivated.after both law enforcement agencies started blocking emails. The Obama Administration would rather take guns from millions of law abiding Americans than surveil a few hundred radical Muslims and mosques. Obama’s policy requiring the FBI to stand down on surveilling Muslims and Mosques certainly did NOT help prevent the deadly Islamist attack in Orlando. The Obama administrations inability to combine the word Islamic with terrorism is symptomatic of his polices that put all Americans at risk. Over the years, the Council on American Islamic Relations and other Muslim Brotherhood organizations have influenced Obama to change policies. The new polices tie the hands of the FBI to investigate Muslims like Mateen and mosques like Mateen attends. Omar Mateen and Moner-Muhammed Abu Salha are now two people from St. Lucie County, Florida who attended the same mosque that have been radicalized by ISIS in the past two years to kill many people. WPTV in West Palm Beach reports: Omar Mateen: Second Muslim behind a terror attack with ties to Islamic Center of Fort Pierce. 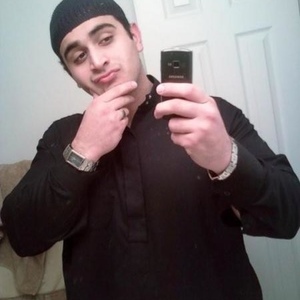 FORT PIERCE, Fla. -- Federal investigators have identified the man behind a mass shooting and terror attack at an Orlando nightclub as 29-year-old Omar Mateen, of Port St. Lucie. An Imam at the Islamic Center of Fort Pierce, Dr. Syed Rahman, confirms that Mateen did worship at his Mosque, located on Midway Rd. in Fort Pierce. This is the second time in nearly two years that Rahman (Center’s Imam) has learned someone who worshiped at the Islamic Center of Fort Pierce had committed an act of terrorism. Moner-Muhammed Abu Salha was a suicide bomber in Syria in 2014. He lived in Vero Beach and Fort Pierce. Fox news reported at 5:20 pm June 13, 2016 to Mateen gave credit to Moner-Muhammed Abu Salha. His full name was Omar Mir Seddique Mateen and he was born in New York. His parents are originally from Afghanistan, a U.S. official said. The FBI had interviewed him in two terror-related cases, but both of them were closed, Assistant Special Agent in Charge Ronald Hopper told reporters Sunday. "Those interviews turned out to be inconclusive," Hopper said, "so there was nothing to keep the investigation going." Mateen was not under investigation or under surveillance at the time of Sunday's shooting, Hopper said. Why was it necessary for the FBI to remove Mateen from the watch list? To satisfy Muslim Brotherhood groups who want no watch list at all but are pacified with a time limit. Had Mateen stayed on the watch list his weapons purchase would have flagged him for closer surveillance. The New York Times reported on May 9, 2013 that the Boston police weren’t told FBI got warning on Tsarnaev. WASHINGTON — The F.B.I. did not tell the Boston police about the 2011 warning from Russia about Tamerlan Tsarnaev, one of the two brothers accused in the Boston Marathon bombings, the city’s police chief said Thursday during the first public Congressional hearing on the terrorist attack. Did the FBI not share the information they obtained from their two investigations of Omar Mateen with the Fort Pierce Police Department and St. Lucie County Sheriff as happened with the Boston bombing brothers? The Muslim Brotherhood linked Council on American Islamic Relations lobbying efforts and public campaigns have hurt the ability of the federal government to protect all American citizens from terrorists like Mateen. • CAIR pressured the FBI in February, 2012 to remove 876 pages and 392 presentations from their education resources that were offensive to Islamists. See report at Judicial Watch. NPR reported: The FBI has completed a review of offensive training material and has purged 876 pages and 392 presentations, according to a briefing provided to lawmakers. See report at NPR. If Obama’s policy requires the FBI to stop investigating Muslims at some point then it stands to reason that the FBI would not share investigative information with local law enforcement officials. The FBI would lose control over the closure of those investigations. Clearly, there is a problem in St. Lucie County and the City of Fort Pierce where two men were radicalized by ISIS to kill many people. There is only one mosque in that community and both men attended that mosque. Florida Family Association has prepared an email for you to send to politely and respectfully urge the St. Lucie County Sheriff and the Fort Pierce Police Chief to initiate their own investigations because it appears that Americans can no longer depend on the United States Government for protection from Islamic terror. The email for this article was deactivated.after both law enforcement agencies started blocking emails. St. Lucie County Sheriff started to decline receiving emails through Floridafamily.org action center after receiving a thousand emails.